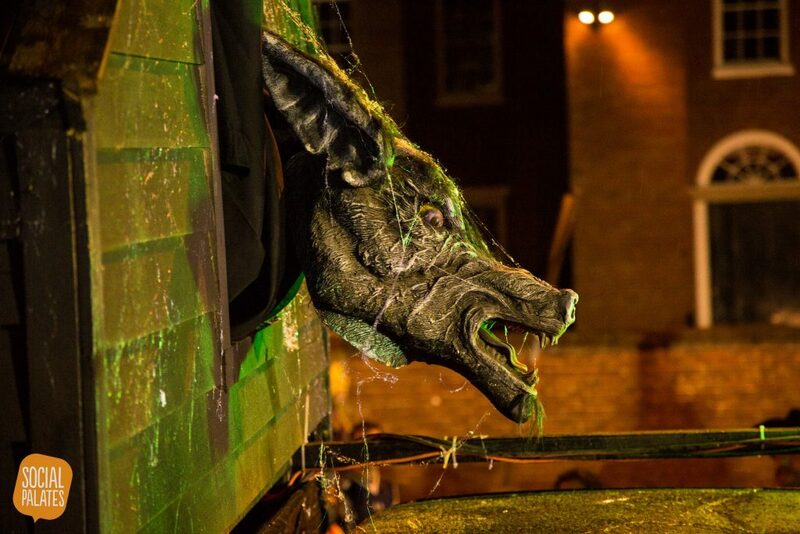 Movie Monsters will flood the streets of Salem this Thursday, Oct. 5th as the 22nd annual Haunted Happenings Grand Parade officially kicks off THE Halloween season for tourists and residents alike. Twenty-two years. If you were a 10-year-old kid dressed in costume for any of the first few, quite possibly you have a son or daughter participating this year. Tradition is a big deal for this parade. Another tradition involves picking a theme to help participants get creative in their costuming and float themes. Movie Monsters opens a vast panorama from which to dig deep the creative juices. We look forward to the sights and sounds. Children & teens from Salem schools along with adults from schools, businesses, city offices, fire & police departments and other organizations participate as volunteers, organizers, planners, walkers and cleanup crews. It really is a group effort. Haunted Happenings Grand Parade begins at Shetland properties on Congress street, precisely at 6:30pm. Marchers turn left onto Derby Street, right onto Central Street, left onto Front Street, right onto Washington Street, right onto the Essex Street Pedestrian Mall and finish at the Salem common. Friends and family cheer them on along the way, and at the Common they will be entertained by local favorite DJ Doug. 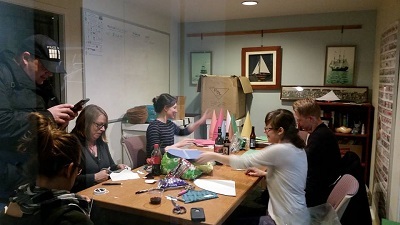 If you would like to volunteer to help with aspects of the Parade, contact the Chamber at 978-744-0004. Mark your calendar to remind you to visit us this Thursday to see the spirit of Halloween on the faces of kids as the spotlight is all theirs. Do you wish to do some good for others in the community? 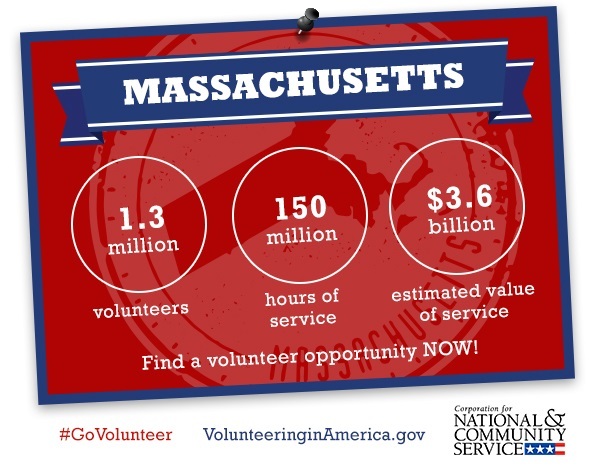 If so, then you are part of the 62.8 million Americans who annually give of their time & skills volunteering. 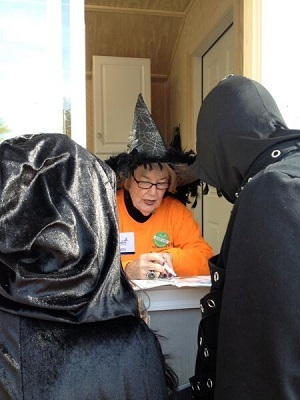 In our case, the community is Salem and we are Salem Main Streets in need of volunteers to help us staff the Visitors’ Info Booth during the upcoming Haunted Happenings Halloween season, which begins October 1st. Yes, we know, it is still mid-August and summer is not over. But look at the calendar again from a staffing/training point of view. To be ready to go with scheduled volunteers by October 1st, we need to send out an invitation now. 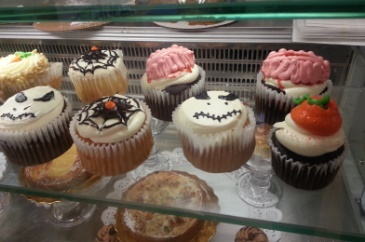 “It’s hard to believe, but it’s already time t o start planning for Haunted Happenings and the October Information Booth,” says Kylie Sullivan, executive director of Salem Main Streets. A welcoming orientation will take place on Saturday, September 16 at 9:30 a.m. at the National Park Service Regional Visitor Center, 2 New Liberty Street, Salem, MA. Volunteers will be updated on new October events and there will be time for returning volunteers to share insights and information with those new to the program. Registration will begin at 9:30 am, with the orientation starting promptly at 10 am. Please remember to bring your ID for the CORI process. What if you’re neither a native nor a long term transplanted resident and don’t know exactly “where everything is?” You will. Between support from the people in the booth with you during your shifts, to the repeated questions (where are public bathrooms, where can I see something really scary, where did they burn the witches, where can I get a good burger or fish meal), you will. Purely as a side note, volunteering has been known to help new people in a community make new friends who share common interests & values. And if you speak more than one language, we clearly could use your help, as many Haunted Happenings attendees are from foreign lands. Understandably, we’ve taken a little break. It’s been a busy last few months in Salem Ma. Halloween season was filled with creatures and creativity. That was followed by the Winter Holiday season, culminating with our double New Year’s Eve party extravaganza of LAUNCH and LAUNCH… Light It Up! And we could not have done any of these projects without a great showing of community support in the form of volunteers. In February, it will be Salem’s So Sweet. In March, it will be the Salem Film Fest. 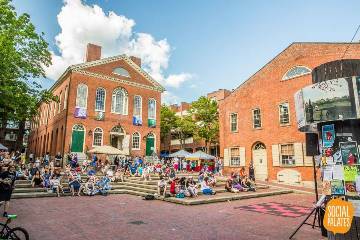 In June, it will be the Salem Arts Festival. And so on. 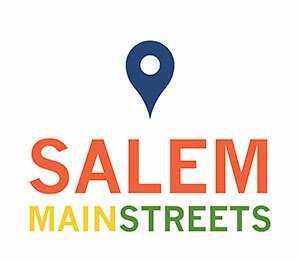 Whether these are Salem Main Street events or not, volunteers drive the projects from start to finish. And that’s not just in Salem. 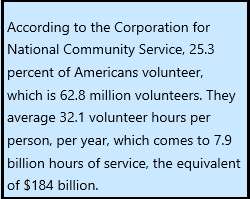 The annual “Volunteering and Civic Life in America” report, released by the Corporation for National & Community Service and the National Conference on Citizenship, substantiates that service to others is a priority for millions of Americans. In fact for 2013 the report found that 62.6 million adults volunteered through an organization. They put in almost 7.7 billion hours which translated to around $173 billion, based on an estimate of the average value of a volunteer hour. And we just wanted to take this moment to thank you all again for giving of your time and experience to projects that benefit the Salem Ma community. Reflections are how we “see” ourselves. A mirror, a pool of water, the eyes of a loved one. But how does a city such as Salem see its reflection? In the comments of visitors. To test this point, we found this favorable review of Salem, as seen through the eyes of an Australian traveler. (Thanks to a posting on Destination Salem’s Facebook page back in June). Linda Bentley from Sydney, Australia is a well-known traveler/reviewer with her own website The Packed Bag and it was interesting to observe the things she wanted to see and did see. Was it the historical, the hysteria, or the hysterical items that called to her? 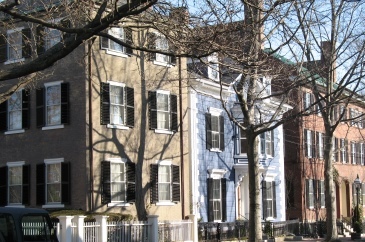 Potential long stay and short term day trip visitors can look at her blog as a summation of things to do and see in Salem the year round. 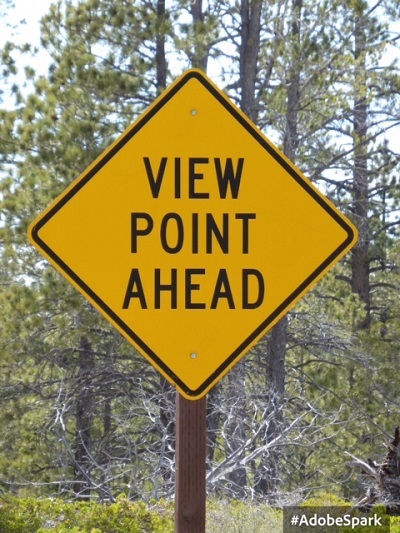 But we can use it as a mirror to determine if we are communicating what we want to the outside world. What do you think? 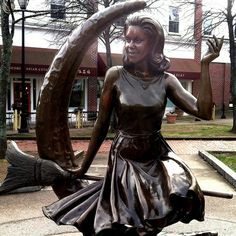 Did she share an engaging, inviting, diverse “message” about Salem, MA?